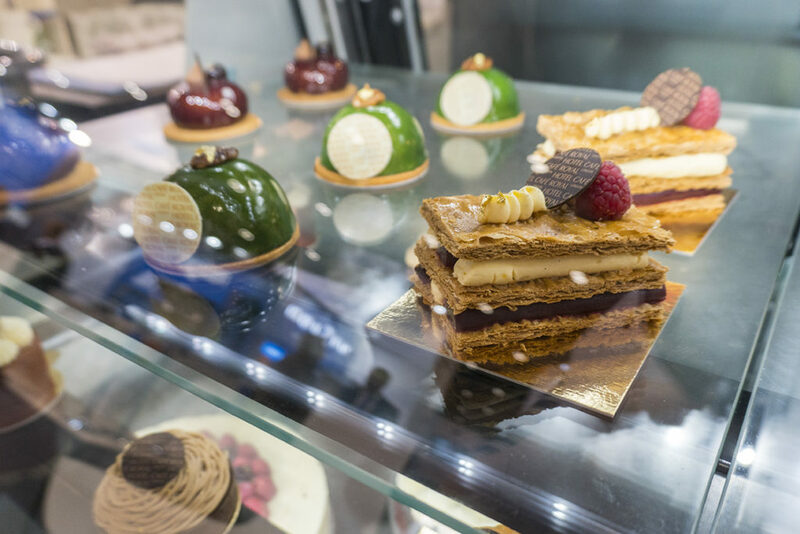 Biennial catering event Hotelympia returned this year with four brand new shows, providing a platform for restaurants, hotels, pubs, casual dining and contract caterers to meet, review and source from the finest suppliers available in the market. True was in attendance, with our team of experts on hand to share advice and information on the latest products and innovations in commercial refrigeration. If you missed the event, or didn’t get chance to take it all in, you can check out our highlights video or read on for our rundown of the key lessons and trends we picked up. The Staff Canteen Live hosted some of the best chefs in the industry, creating dishes in front of a live audience. Key themes were elements that take a long time to create but can be delivered quickly during service. Smoking, pickling, brining, fermentation and slow cooking add variety and depth of flavour to ingredients, before quick cooking and beautiful presentation delivers fine dining to expectant customers. Investment in ingredients means fine dining chefs can add huge value and margins to cheaper cuts of meat, vegetables and fruits. But it also means that any damage or degradation can have a big loss or impact on menus – 12 hours of prep can’t be redone just before a restaurant opens – so of course reliable refrigeration is an essential tool to preserve that hard work. Chefs, owners and customers are citing efficiency and a reduction in environmental impact as a reason for choosing locations and products. More efficient equipment, waste reduction, carbon offsetting and local sourcing are all techniques being adopted to reduce the impact of eating and drinking out on the planet. Operators who are investing in green schemes were also encouraged to feature this work in their marketing to make their customers aware, as it gives them a leg up in the race against the chains and big brands which have a larger carbon footprint and can be slower to react. Once the stronghold of independent specialist restaurants and health food stores, special diets are now mainstream. While only one per cent of people can’t have gluten for medical reasons, at the show author and ‘Cafepreneur’ Claire Bowen estimated around 25% of people avoid gluten in their diets, and it’s people like them that would be the deciding factor if a group of friends were choosing a place to eat or drink. Gluten-free, vegetarian, vegan, paleo and sugar-free options are all driving changes to menus. The message to proprietors is to keep up or miss out. Changing diets and menus need different ingredients. Options are often more expensive and require specialist storage to maintain freshness and flavour, so commercial kitchens need refrigeration options that can preserve their investment. Speakers from all disciplines, industries and specialisms cited the customer experience as essential for driving engagement, conversions and loyalty. Speakers from hotel giant Hilton and restaurant innovators Searcy’s all cited customer experience as a driver for their businesses. Experience is every part of the customer journey, from their first contact with your brand to booking, visiting, ordering, paying and how they talk and feel about you after their visit. Getting the experience right creates fans (not just customers) and advocates that market your business through recommendations. Delighting customers pays dividends, and True can help with front of house solutions that combine reliability and style, along with behind-the-scenes options that are configurable for your space and care for your ingredients. Customer experience and technology tie in together, and both need to be easy and engaging to improve the overall perception. Alexa and Siri can place takeaway orders and make reservations, while interactive menus understand dietary requirements and recommend your favourites. Hotels and restaurants are investing in reception-less design to help customers find their room or table and complete bookings easily. Speakers noted that technology needed to be simple to be adopted, to make the user experience easier, and that it shouldn’t replace the people in the business but help them to be more efficient so they can spend more time delighting customers, again ticking the experience box. 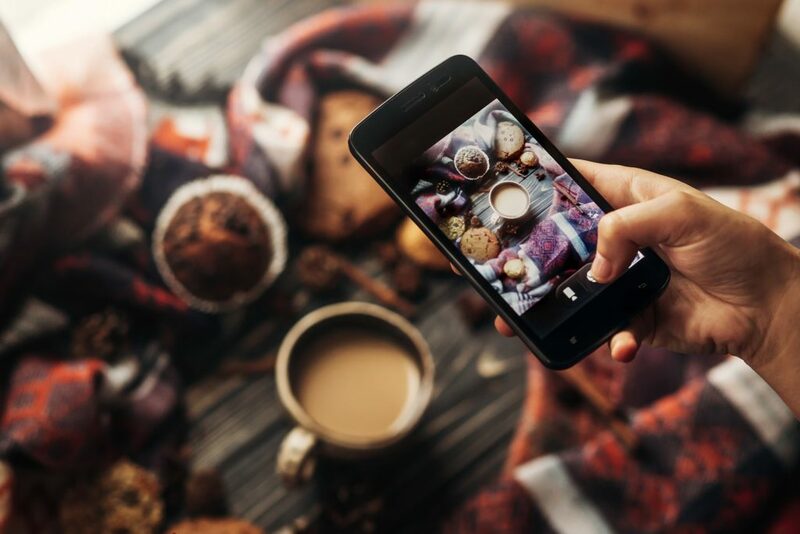 The biggest thing customers want from technology is to make service quicker, so bars, restaurants and cafes need to link their tech to preparation and service, supporting a seamless customer journey. Marketing data from industry analysts CDA shows that while people aren’t spending less eating and drinking out, they aren’t spending more either, and growth has been seen only in expansion rather than customers spending more through up-sells and add-ons. Consumer trends are moving away from more mid-to-expensive casual dining towards cheaper casual dining with a focus on customer experience, and this has been mirrored with the demise of well-known chains like GBK and the scale back of Jamie’s Italian. The levelling off of customer spend means reluctance for owners and managers to express confidence in the market, however brands offering a high level of ‘experience’ and making savings through efficiencies via investment in technology are seeing an uptrend in sales. 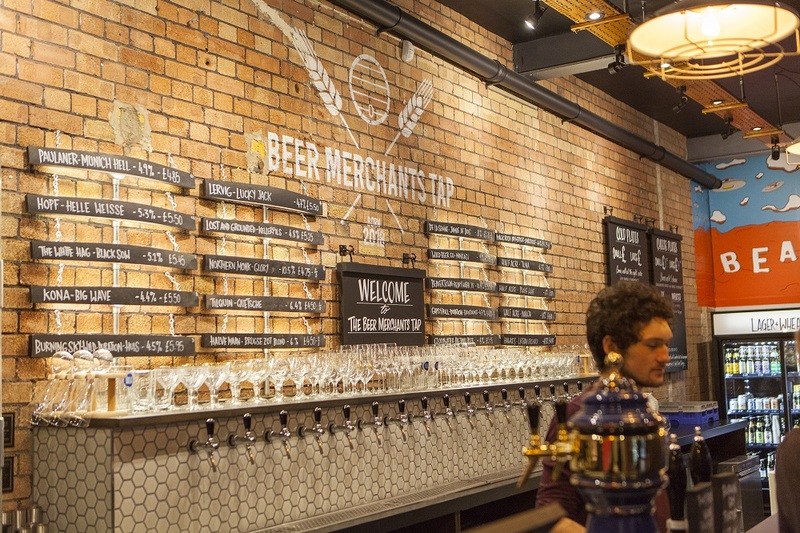 The popularity of gin, real ale and beer, cocktails and wide ranges of new adult soft drinks have seen a growth in ‘wet-led’ bars and pubs – those with a focus on drinks over food. Trendy chains like The Alchemist and Revolution De Cuba are expanding and satisfying demand. They’re bucking the trend for declining spend on drinking out by offering, again, experience and focusing on doing one thing very well. At the high end of the market Searcy’s have also cashed in on a wet lead, expanding a champagne school originally for staff to a tasting room offering the same experience to consumers. As with dining, the-wet led bar also needs to focus on experience, with the look and quality of drinks a high priority. For the operator looking to invest in suitable refrigeration to meet the needs of the wet-led bar, True can offer beautifully-crafted front of house solutions that maintain consistent quality. From a levelling off in the market to high end ingredients improved by time consuming processes, the focus on everything we saw at the show boils down to customer experience and turning the everyday visitor into an advocate for your brand. True can help provide the refrigeration to turn the ordinary to the extraordinary – taking your catering to the next level. Whether its cafe, burger chain, champagne bar or fine dining restaurant, we have the refrigeration solution to create a confident kitchen. Let us know how we can help.